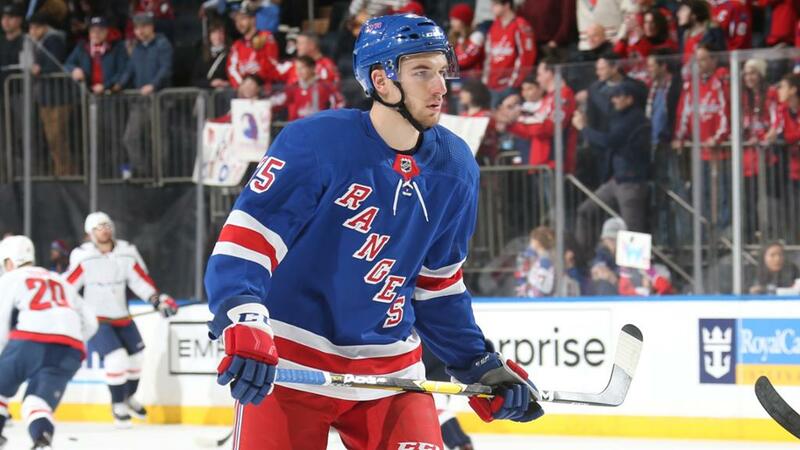 The Rangers have returned forward Tim Gettinger to Hartford. This was an expected move, since it looked like he was an emergency call up for yesterday’s loss to Washington. Gettinger played around 7 minutes last night and was a non factor, again as expected. The takeaway from this call up is that Gettinger has apparently jumped the line in the prospect pecking order. It’s a bit surprising, but his stock has done nothing but rise since his draft year. His stock has risen yes, but I don’t know who you think he has jumped in front of. It would have been crazy to call Nieves up for one game and risk losing him for nothing on a waiver claim. The only waiver exempt prospects in Hartford were Lettieri, Gettinger, Meskanen and Fontaine. [Ronning was sent down to Maine – that does not look promising] So he did get picked over Meskanen and it is encouraging that the Rangers opted to look at him rather than recall Lettieri. Still, it was more Lettieri passing him in the other direction. In truth, as organizatiions go, the Rangers have comparatively few real forward prospects not currently wearing a Ranger uniform. Basically Kravtsov, Gettinger, and Meskanen – and only one seems can’t miss. This is part of Gettinger’s development, to see if he cracks mentally from the torture that they’re putting on him. obviously doesn’t trust Andersson and it seems it becomes a effect on the entire 4th line. Maybe Timmy would look more active with Fogarty as his center? Already recalled, guessing Zuccarello’s groin problem have continued.